Sorrelpelt wrote: "Ready to learn how to hunt?" meowed Sorrelpelt as she touched noses with Foxpaw. Briarpaw-SnakeClan wrote: Briarpaw purred quietly to himself as he padded over to Bounceclaw. Bounceclaw wrote: "Let's get you a nest and go over some remedies." meowed Bounceclaw as she touched noses with Briarpaw. Foxclaw wrote: "Briarpaw, Brackenpaw, Foxpaw!" cheered Foxclaw for the clan's newest apprentices. Silverwind wrote: Silverwind pulled a bone from the fresh-kill pile and carried it over to Tigertail to share with the she-cat. Tigertail wrote: Once Tigertail and Silverwind had finished the meal, she touched her nose to the tom's ear, then turned and headed into the clan nursery. She squeezed inside carefully, with a little huff of effort, then found an empty nest and settled into it. 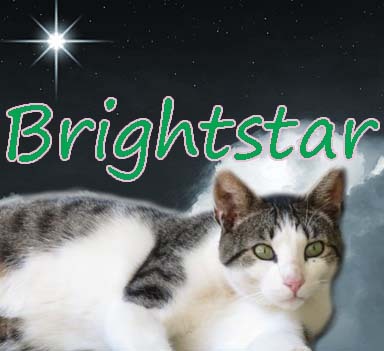 Brightstar wrote: "Let all cats old enough to catch their own prey gather for a clan meeting!" yowled Brightstar from the center of the clan camp. Bounceclaw pricked up her ears and padded out of the medicine den to hear what Brightstar had to say. "We gather today to welcome five kits into their lives as apprentices." continued Brightstar once the clan had gathered. "Forestkit, you will be known as Forestpaw. Onewing, you will be mentor to Forestpaw. Slashkit, you will be known as Slashpaw. Bluenettle, you will be mentor to Slashpaw. Azurekit, you will be known as Azurepaw. Archfur, you will be mentor to Azurepaw. Jadekit, you will be known as Jadepaw. Eclipsefoot, you will be mentor to Jadepaw. Indigokit, you will be known as Indigopaw. Crookedpelt, you will be mentor to Indigopaw." Forestpaw purred loudly as she padded over to Onewing. "Let's go check out the territory." meowed Onewing as he touched noses with Forestpaw. Slashpaw blinked a few times, then padded over to Bluenettle. "Ready to learn how to hunt?" meowed Bluenettle as she touched noses with Slashpaw. Azurepaw quietly padded over to Archfur. "Let's go work on some fighting moves." meowed Archfur as he touched noses with Azurepaw. Jadepaw puffed out her chest and padded over to Eclipsefoot. "Mind if we come with you?" Eclipsefoot meowed to Onewing. Indigopaw let out a loud yowl of happiness and bounced over to Crookedpelt. "Go get to know your new denmates." meowed Crookedpelt as he touched noses with Indigopaw. "Forestpaw, Slashpaw, Azurepaw, Jadepaw, Indigopaw!" cheered Foxnose for the clan's newest apprentices. Ambertooth pulled a thrush from the fresh-kill pile and carried it over to Stickfoot to share. Once they were done eating, Stickfoot touched her nose to Ambertooth's ear, then headed over and into the nursery to find a new nest. "Let all cats old enough to catch their own prey gather for a clan meeting!" yowled Brightstar from the center of the clan camp. "I, Brightstar, Leader of SnakeClan, call upon my warrior ancestors to look down on these apprentices. They have trained hard to understand the ways of your noble code, and I commend them to you as warriors in their turn. Cloudypaw, Asterpaw, Serpentpaw, Lynxpaw, do you promise to uphold the warrior code and protect and defend this Clan, even at the cost of your life?" "I do." meowed Cloudypaw quietly. "I do." meowed Serpentpaw quietly. "I do!" meowed Lynxpaw loudly, bouncing onto his paws. "Then by StarClan, I give you all your warrior names." continued Brightstar once the clan had gathered. "Cloudypaw, you will be known as Cloudypool. Asterpaw, you will be known as Asterfeather. Serpentpaw, you will be known as Serpentfall. Lynxpaw, you will be known as Lynxpelt. StarClan honors you all and we welcome you all as full warriors of SnakeClan." Cloudypool purred quietly to herself as the clan called out their new names.